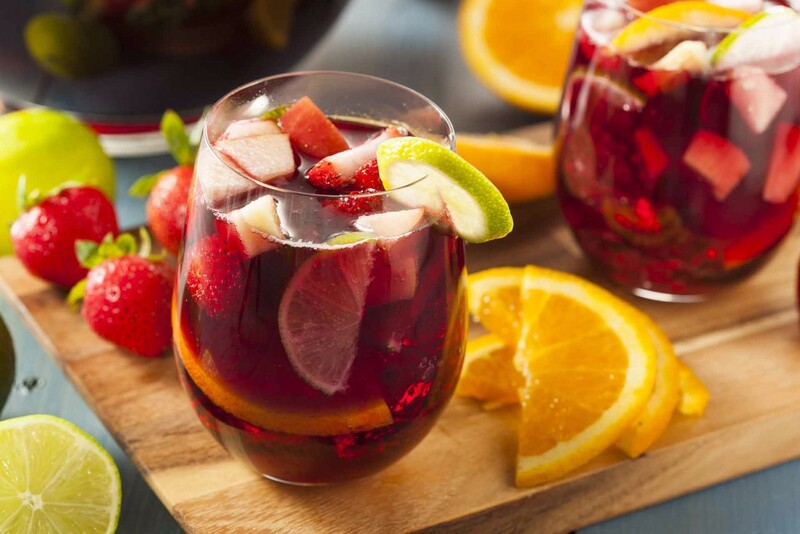 How to prepare delicious "sangría"
News: ​How to prepare delicious "sangría"
Spanish sangría is one of the most loved drinks of the summer and it definitely tastes like a holiday in Spain. This refreshing summer drink is really easy to make. The main ingredient in sangría is red wine, in which seasonal fruits - particularly citrus fruits -are macerated. Brandy or other strong liquor are also added, such as cognac, dark rum or even peach liquor. You may also substitute the red wine with white wine for white sangría, if you want to try something new. Our sangría recipe uses 3 litres of red wine, 1 litre of lemonade, 1 apple, 2 oranges, 2 peaches, 1 lemon, 1 chunk of cinnamon and sugar. Wash all of the fruit and cut it into chunks. Now add the wine and let it all soak together so that the wine absorbs the fruity flavors. Then add the lemonade, sugar, and cinnamon together with the other liquors if you so wish. Mix everything together, cool and then serve it even colder with ice cubes and fruit chunks. This beverage makes a light, refreshing cocktail that tastes even better while sunbathing in the Costa Blanca beaches!